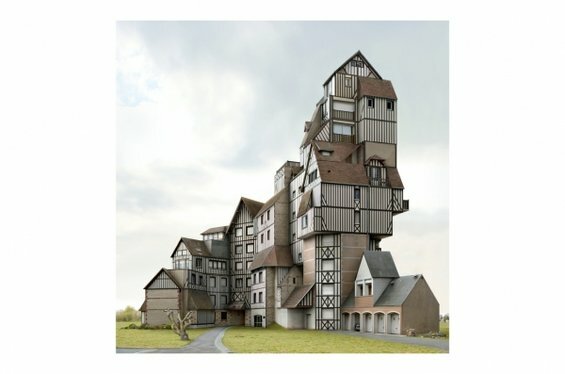 In another solo show, Filip DuJardin of Belgium continues on his mission of creating mesmerizing fantastical architecture with a series of photographs devoted to the ancient Portuguese city of Guimaraes and the grand French coastal resort town of Deauville. DuJardin sculpts space beyond the confines of architectural reality by erecting walls, pitching rooftops and erasing windows. His creations negate gravity and toy with the impossible, tricking the mind and eye into thinking thte structured spaces could really exist. For over thirty years Richard Misrach’s work has dealt with the collision of nature and civilization. In his series on the American desert, “Desert Cantos,” Misrach presents photographs from the bombing range sites in Nevada of the U.S. military and desert shooting ranges from New Mexico to Idaho and California to Utah. 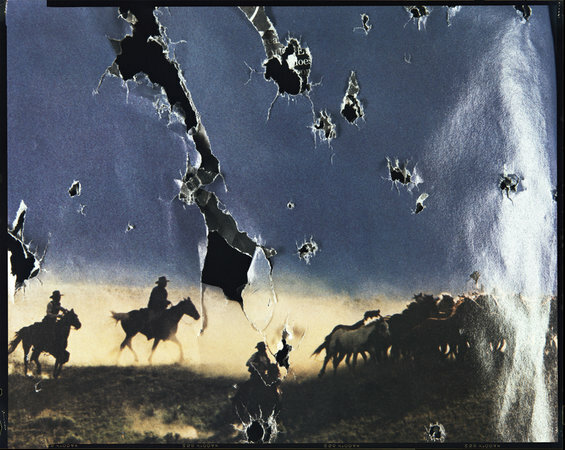 These bullet-ridden magazine spreads were photographed by Misrach as is and are available in an edition of 25. 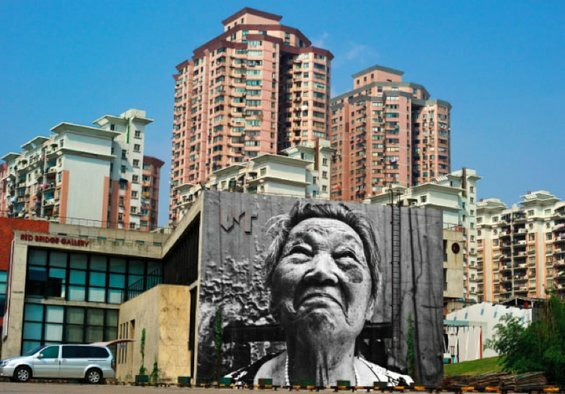 A semi-anonymous street artist of international renown, JR plasters giant, monochrome photographs of faces in urban centers—on rooftops and walls, in church windows, and along the sides of buses. Calling the street his gallery and “using art to turn the world inside out,” JR delivers a message of social action, telling the stories of the voiceless. Matthew Brandt’s starry skies come from his scouring of astronomy books to seek out those expansive moments that convey the awe, wonder and power of peering into a void larger than ourselves. As always, Brandt's materials are unconventional. 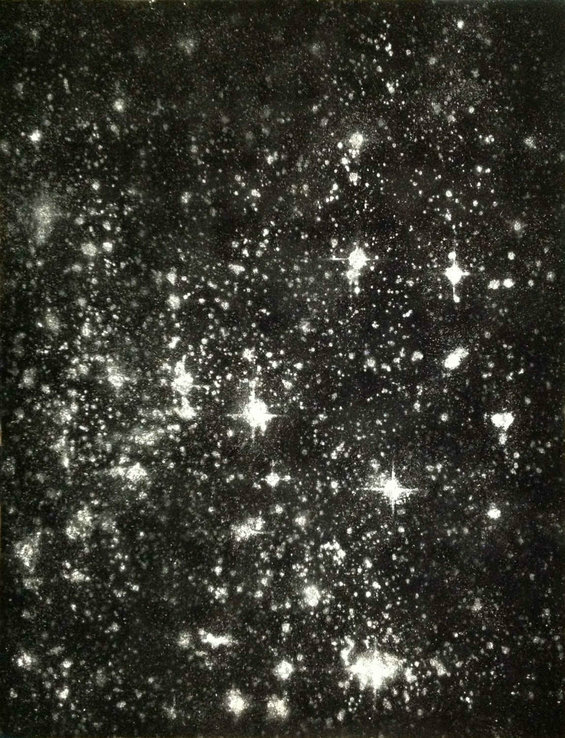 For this new series, Night Sky, Brandt silkscreens cocaine into bright starry fields against a background of plush black velvet. Interested in the 'luxury' status of an illicit substance like cocaine in relation to the luxury status of an art object, Brandt is also fascinated by art's ability to transcend legality. Whether it falls under protected labels such as ‘public domain’, artists are able to source images, ideas, and even illicit substances if the final product is marked as ‘art’. 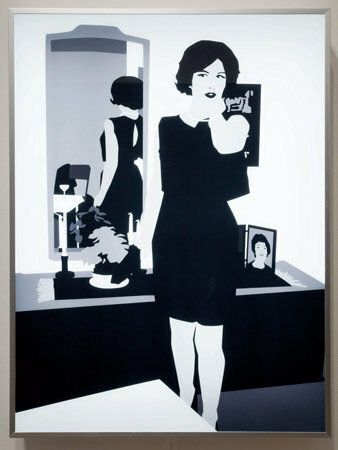 Even Brandt's choice of background - black velvet - harkens back to the idea of luxury. The resulting works are a continued expression of the artist's interests in subject matter that both visually and physically inform his abilities as a photographic alchemist. Depicting vast and unpeopled spaces, it is precisely this dual sense of awe and trepidation that Dan Holdsworth conveys in his photographs. Shooting at night using long exposures, working with imposing terrains that expose the ravages of time on their surface, he provides a new picture of our changing planet. What we see when we look at one of Holdsworth’s images is not a fleeting moment but a passing of time. 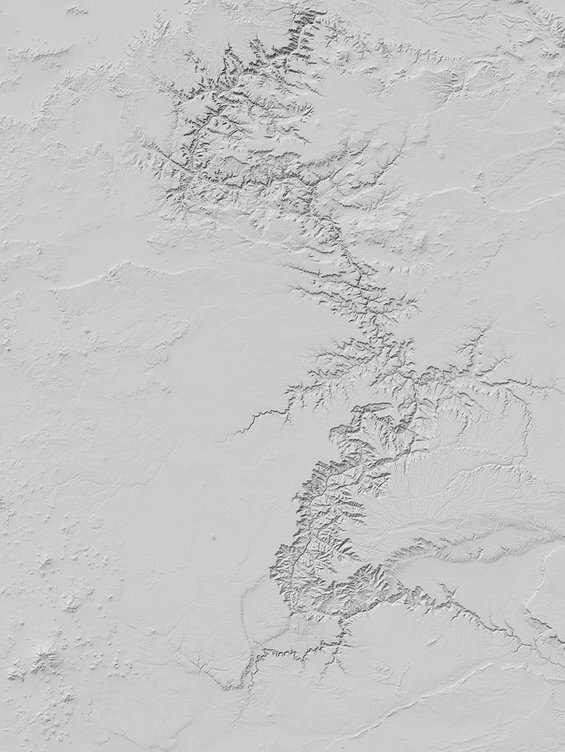 In his images of the Grand Canyon, Yosemite, Mount Shasta, Mount St. Helens and Salt Lake City (Park City), what at first appears to be a pure white snow-capped mountain, is in fact a digitally rendered laser scan of the earth interpreted from U.S. Geological Survey data, a ‘terrain model' used to measure climate and land change - to measure man's effect on the earth. Viewing the earth through this lens, we are confronted with the reminder of our own position in the universe. Structured around journeys with her children to and from the homes of distant and diverse relatives across the United States, Tierney Gearon’s images show lives comprised of both comfort and confusion. In her photographs, Gearon’s children form a powerful presence among the domesticity. They roam free, play-act and play up, sometimes to the camera and sometimes to the adults they find around them. In her Shape series, she purchased Plexiglas boxes, shipped them to different parts of the country and placed various subjects in them.